Reserve Bank of India (RBI) has recently announced setting up of the inter-disciplinary standing committee on cyber security to review the threats inherent in existing and emerging technology. Who is the head of this committee ? Retailers of which state have recently boycotted global cola giants Pepsi and Coca-Cola, along with all their other soft-drink products ? The Ministry of Electronics and Information Technology has asked banks to get all the accounts enabled with net banking by ___________ this year. 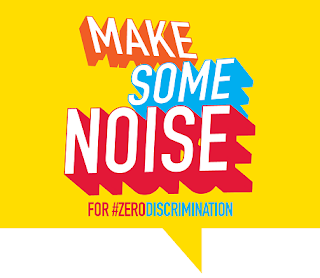 Zero Discrimination Day is observed on ? Which country has successfully test-fired its indigenously developed supersonic interceptor missile capable of destroying any incoming enemy ballistic missile at low altitude ? What is the Theme of Zero Discrimination Day 2017 ? Russia and China have vetoed a UN resolution to impose sanctions against __________ over its alleged use of chemical weapons. The 29th International Yoga Festival was recently held at Rishikesh. This festival was inaugurated by the Governor of Uttarakhand. Who is he ? Gujarati writer Taarak Mehta was recently passed away. He was best known for his columns which were adapted for a TV sitcom. Name it ? The 41st Civil Accounts Day was recently observed in India on ? Which state government has decided to make Sanskrit compulsory up to Class 8 in all schools across the state ? Who is the Controller General of Accounts (CGA) ? To restrict immigration and smuggling, India has built a 2,700-kilometre barbed-wire fence around which country ? Name the singer, who has been honoured with the 2017 Harvard Humanitarian of the Year award ? Name the Indian shooter, who has won the Gold medal in the 50-metre air pistol event at the ISSF World Cup in Delhi ?